These stunning wild cat posters are great for learning (and admiring!) all the beautiful wild cat species in the cat family Felidae. The common and scientific names of animals can change from time to time. Therefore the names and groupings printed on these posters may differ in a few instances to other publications that you come across. The current Felidae classification according to the IUCN Cat Specialist Group can be viewed at Wild Cat Lists. The images of the artwork are copyright the artists - please do not use these images without their permission, thank you. 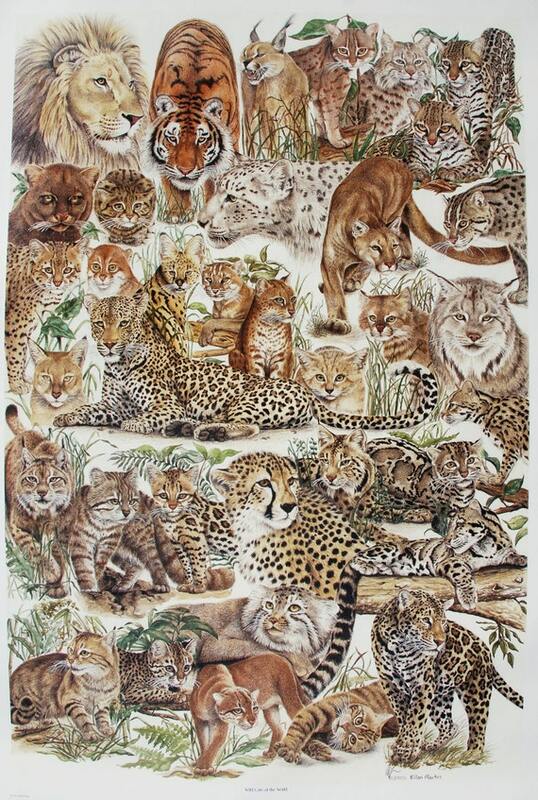 The print (24"x36") comes with a key, that shows the cats and on the back has the common name, latin name and the part of the world where the cat is found in the wild. The print is on very high quality heavy paper. The poster (26"x34") has small numbers next to the cats and a list on the right side with the common name, latin name, and the part of the world where the cat is found. It is printed on standard poster type paper. 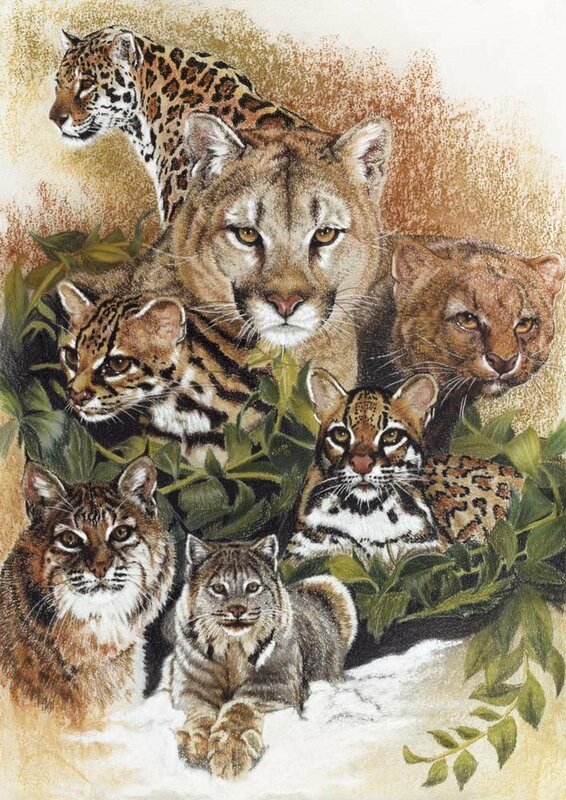 This painting depicts the wild cats of North America - from top to bottom: Jaguar, Puma, Jaguarundi, Margay, Ocelot, Bobcat and Canada Lynx. Rohan is a cartoonist, illustrator and creator of Green Humour. 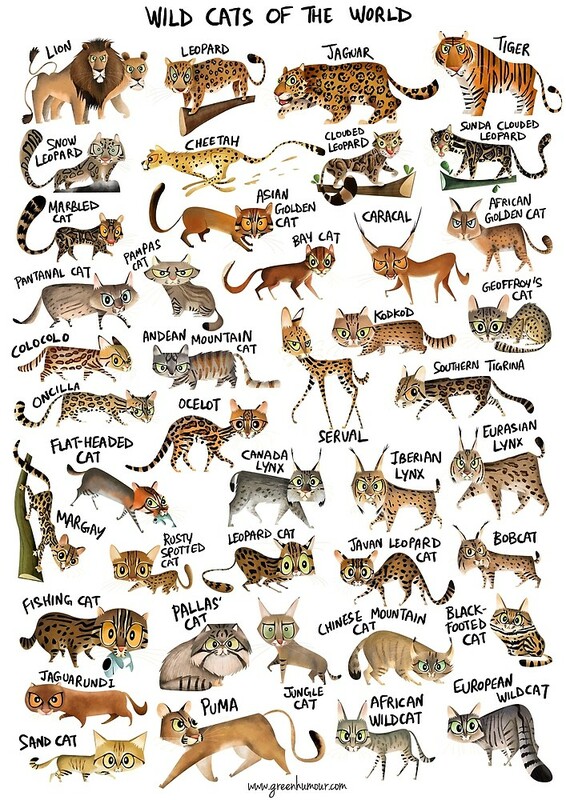 An illustrated cartoon / caricature poster of the different species of wild cats in the world. The poster can be printed in various wall art formats as well as on bags, clothing and other items. The Panthera Genus consists of the five true big cats - tiger, lion, jaguar, leopard and snow leopard. 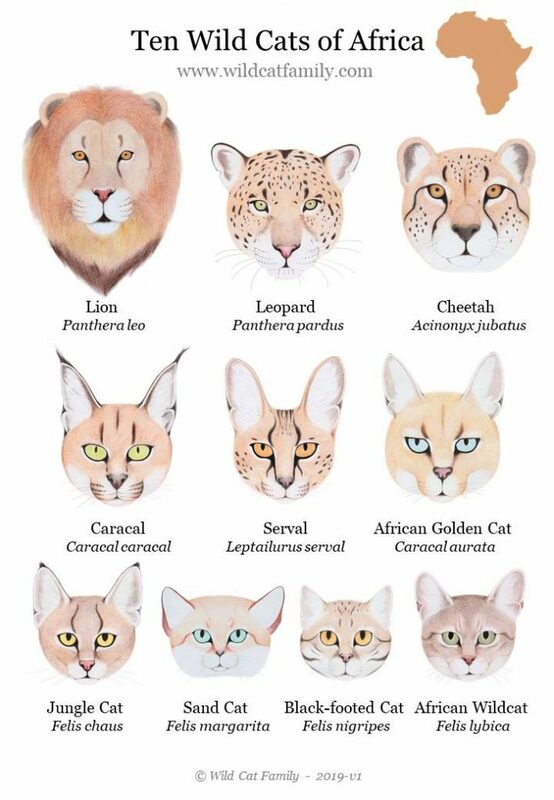 This big cat chart shows their scientific names, continents where they occur and IUCN Red List global status. The chart is an A4 pdf and is free for your personal use.